View More In Sleepwear & Robes. This super comfortable bathrobe features a great-looking and incredibly soft plush velvet material that wicks moisture better than any cotton blend available and a belt tie with double loops so it'll stay closed to keep you warm and covered. 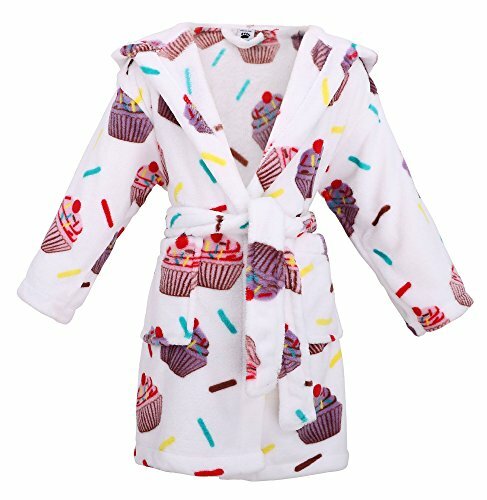 Belt tie adjusts easily and won't dig in - meaning tight or loose, Relax by the poolside with this comfortable robe, you'll be so magic on birthday party! Great to pack for travel and makes an excellent gift for any child. If you have any questions about this product by Arctic Paw, contact us by completing and submitting the form below. If you are looking for a specif part number, please include it with your message. © 2019 - sherlockcoat.com. All Rights Reserved.